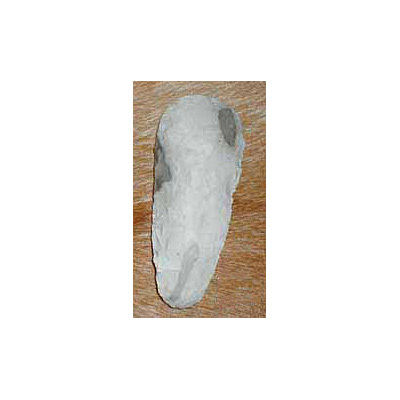 This sturdy flint knife design is actually a bit of a modern elaboration of a Palaeolithic design. 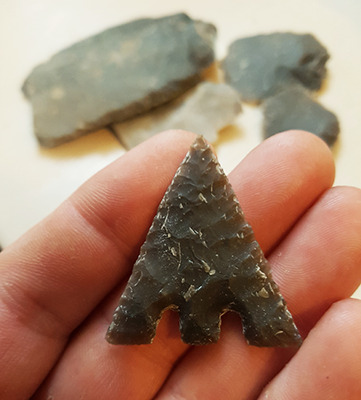 It is based on the ‘Font Robert points’ which have always been interpreted as spear or knife points. 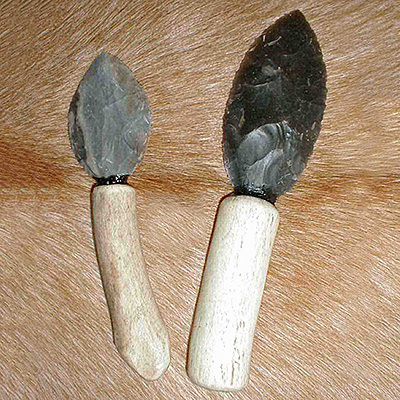 They make superb field knives for skinning and processing animals as the small leaf shaped, serrated blade performs perfectly at speed. 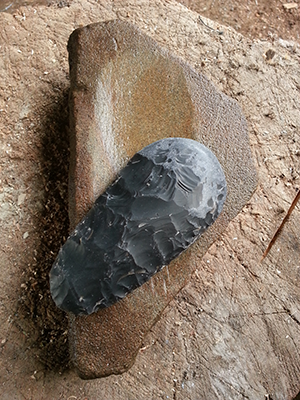 Be the first to review “Flint hunters knife” Click here to cancel reply.